I hope you enjoyed reading this Reporting series. I would love to hear your feedback. Please email [email protected] to let me know your thoughts. In previous levels we looked at structured reporting where a report writer (consultant or super-user) defines the look and feel of a report. These reports have consistent or “fixed” logic of what they deliver. There are, however, situations where users cannot give a precise instruction on how to write a report and need to explore “raw” data. The reasons may include finding patterns, exceptions or calculating custom totals. 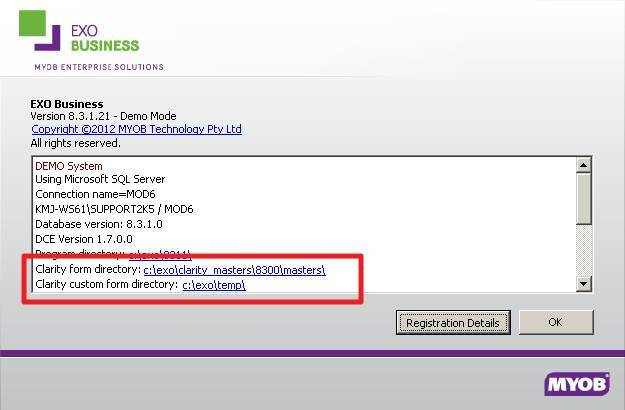 Being part of Microsoft suite, Excel can natively connect to an SQL database using ODBC driver (ODBC stands for Open Database Connectivity). 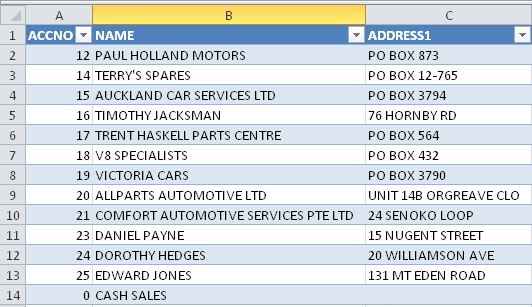 As data in a database table is arranged as columns and rows Excel is a great fit. One would hardly find a better software to manipulate table data by hand. Wizard will then ask for database server name, authentication details, database you want to connect to and will offer a list of tables so you can select one. As this series is not meant to be very technical, details for each step can be looked up on the web or in Microsoft Help files. Kilimanjaro Support technician can assist with creating and troubleshooting an ODBC connection for you as well. The simplest way is to present data as it is kept in the database – a table. Once data is in Excel, it can be filtered and sorted. User can create additional calculated columns. All the work is saved with the file. Data can be saved in the file too or loaded every time the file is opened. Table data is useful when we need a list of records from EXO. Below is a listing of Debtor accounts data straight from DR_ACCS table. 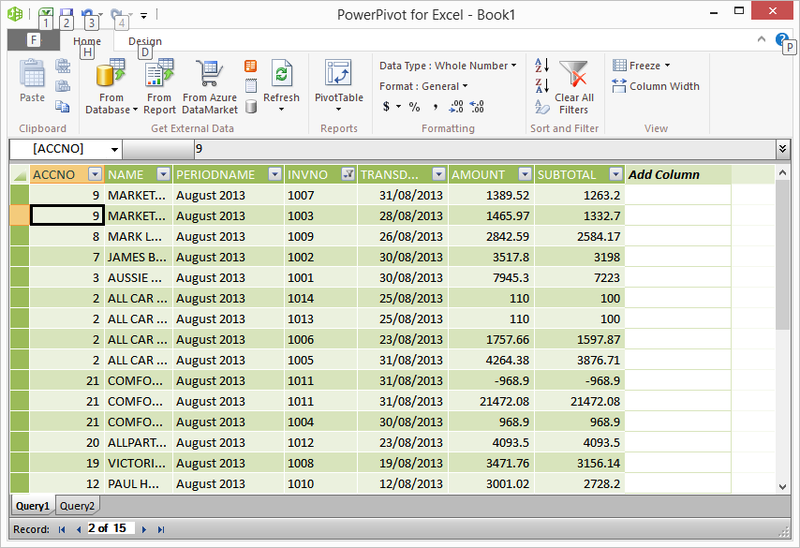 PivotTables are a fantastic way to explore the data and calculate totals. I hope the reader had a chance to get familiar with these. If not – there’s plenty of information provided by Microsoft as well as third parties to facilitate your learning (see references section below). 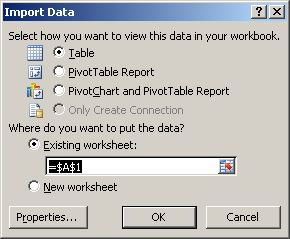 Once data is pulled in Excel it will be used in the pivot table as usual. 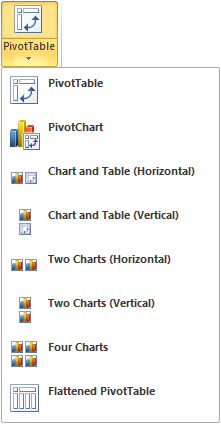 The key benefit of the ODBC pivot approach is that pivot table definition and layout stays saved in the file, while data refreshes as requested. 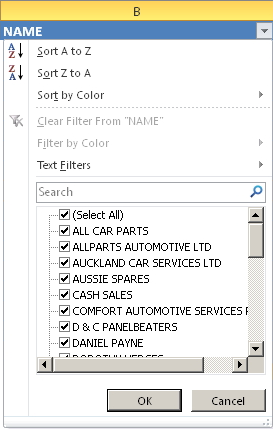 Pivot tables offer sort and filter options. They allow custom formatting and layout settings. Calculations can be done as straight aggregate functions (sum, average, min/max, count) or as percentage of parent total / grand total or can be a running total. Field names can be changed to be more human-readable. 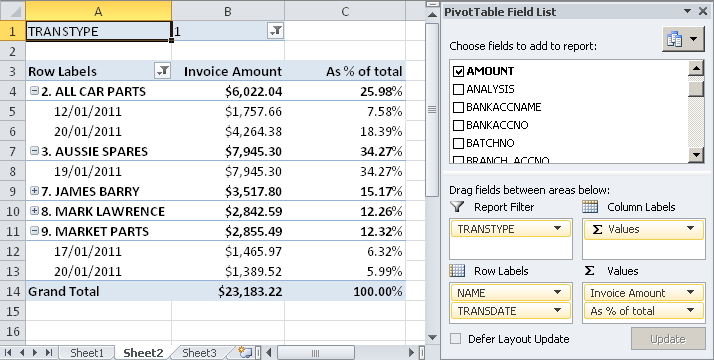 Below is a PivotTable of Debtor invoices data straight from DR_TRANS table. 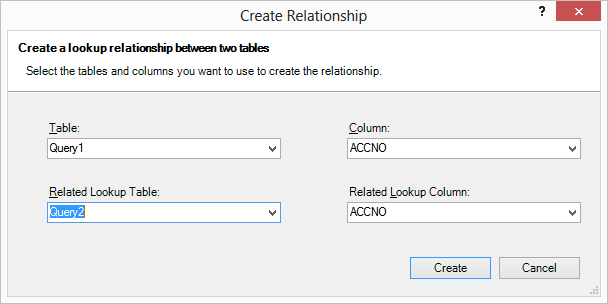 It is possible to combine multiple tables without SQL – just by using VLOOKUP function in Excel. However, VLOOKUP over large tables is slow. It is against best practice to pull raw data and recombine it in Excel. SQL engine is way more efficient in the task. Sometimes technical references / lookups are not human-readable. E.g. transaction types in debtors ledger are 1, 4 and 5. Unless user had prior experience with EXO reporting, they may need have numbers translated into 1-Invoice, 4-Payment, 5-Adjustment. Pivot Table may become slow as data volume increases. There are also limits to how many records can be pivoted (this is dependent on Excel version in use). One of the common solutions to those issues is to prepare data on the SQL server side and return it in a user-friendly fashion. This can be done via SQL Views – virtual tables that can join tables, perform scalar or aggregate calculations, enforce security and many more behind the scenes. One would need a good understanding of SQL language to be able to create an SQL view, so it may be best to ask for assistance from Kilimanjaro team. The solution to reporting on very large data volumes that cannot be pre-crunched is using a special tool – SQL Analysis Services (OLAP concept, which will be covered in a future post). In previous levels of this series we explored ways to report using ExoGrids and Clarity Report builder. This time we look at GL Report Writer – a built-in utility in MYOB EXO Business. 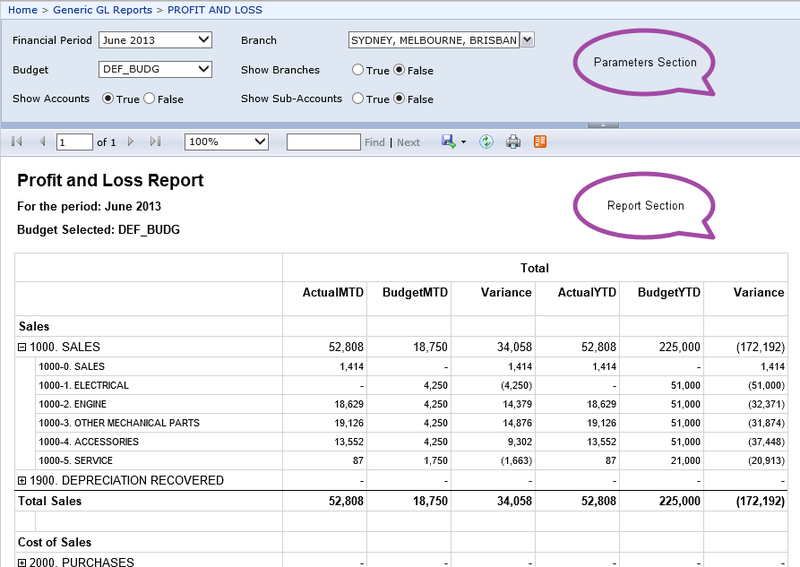 General Ledger reports are fairly difficult to write compared to reports for other areas of ERP database. This is because of accounting conventions with debits and credits, differences in calculations between Balance sheet and Profit and Loss accounts, current year earnings calculations and a few other technical reasons outside of the scope of this digital paper. 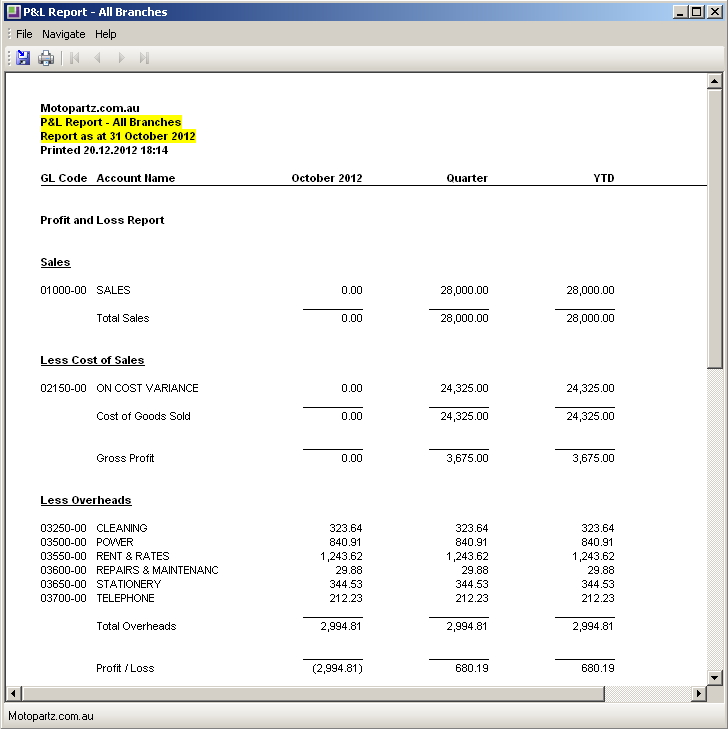 MYOB EXO Business offers a neat solution for the hard task – a GL Report Writer utility. This utility is a mature tool, which dates back to early versions of EXO (then Exonet) software. As result it lacks some of the glamour of more recently added Clarity reporting, but it does its job well and is easy to use. GL Report writer is quick to learn even for non-technical users. 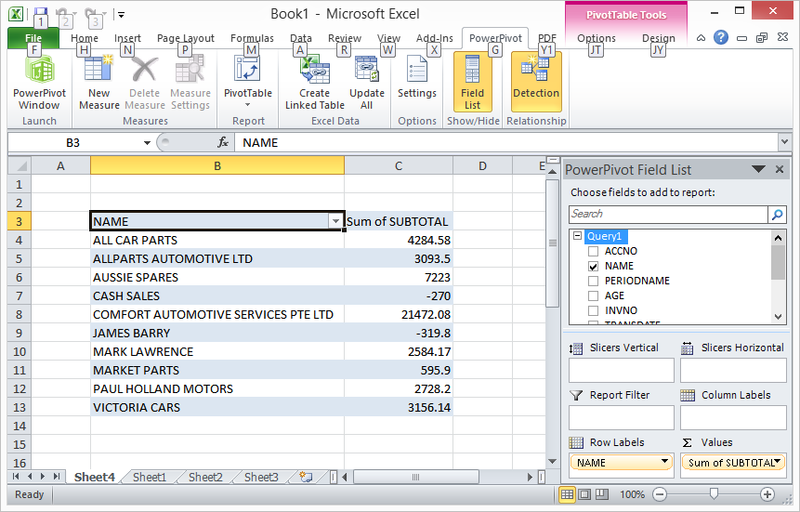 A report is built by specifying row and column groups. 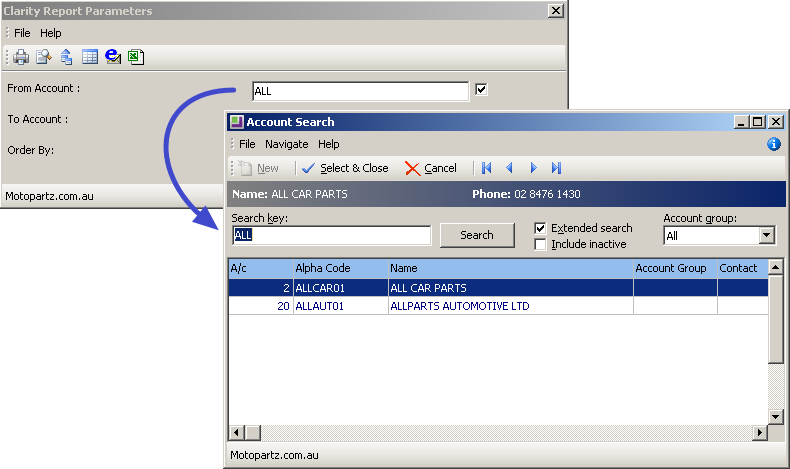 Each row group is defined as either a text line, a range of GL account or GL account groups, a total or custom function (e.g. current year earnings). Each column group is defined as an account name, number or balance for the given row group in a single or multiple months. Effectively, the user selects what they want to see and hit run. GL Report will automatically work out the correct Month and Year to date calculations for Balance Sheet and P&L accounts, Opening / Closing stock position for periodic stock businesses, dollar variance against selected budget. Simple as that. EXO Business help file covers GL Report writer functionality in great detail, which makes “playing” with GL Report writer a nice experience. Below screenshots show how a standard P&L report is set up in GL Report Writer. The reader is welcome to make up their mind as to how difficult the setup is. 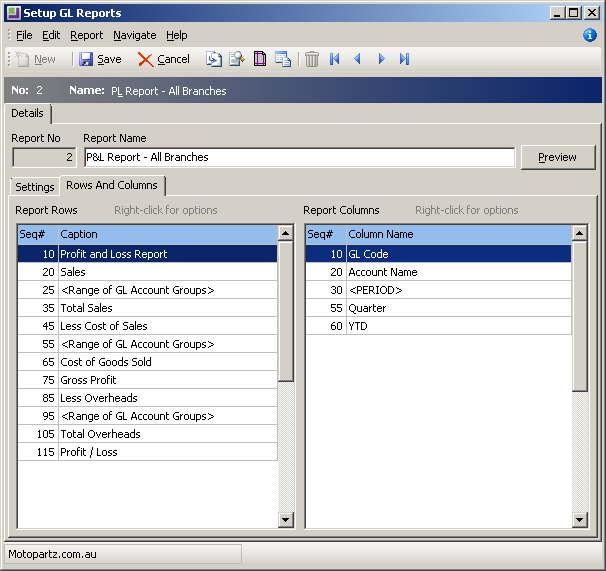 It is possible to print GL Reports individually or create a GL Report Batch and define parameters for each report in the batch. When a full report pack is required, the user then runs a batch. 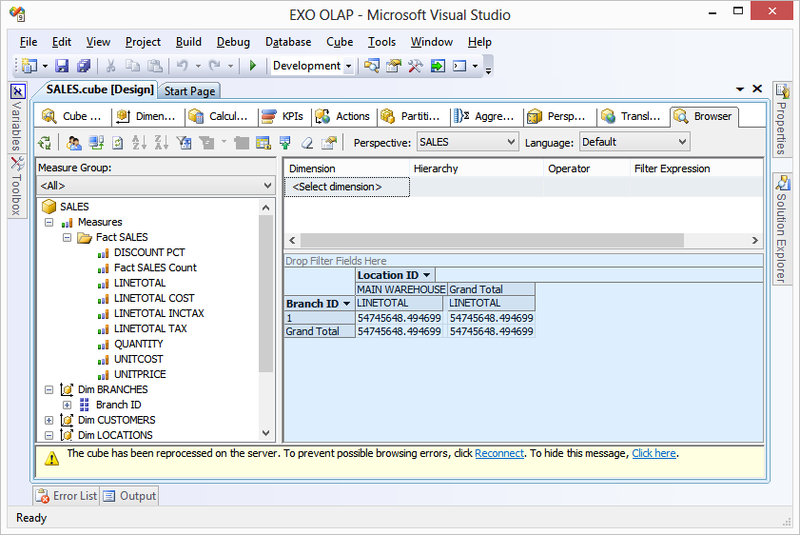 And, as with most reports in EXO, we can export GL Reports to Excel via Clarity format template. As with any technology, there are limits to what GL Report writer can do. However, my experience shows that most finance and accounting users find it a good fit for GL reports of medium complexity. For complex GL reports Kilimanjaro team tends to recommend SQL Server Reporting Services platform (SSRS), which I will cover in level 5 of the series. 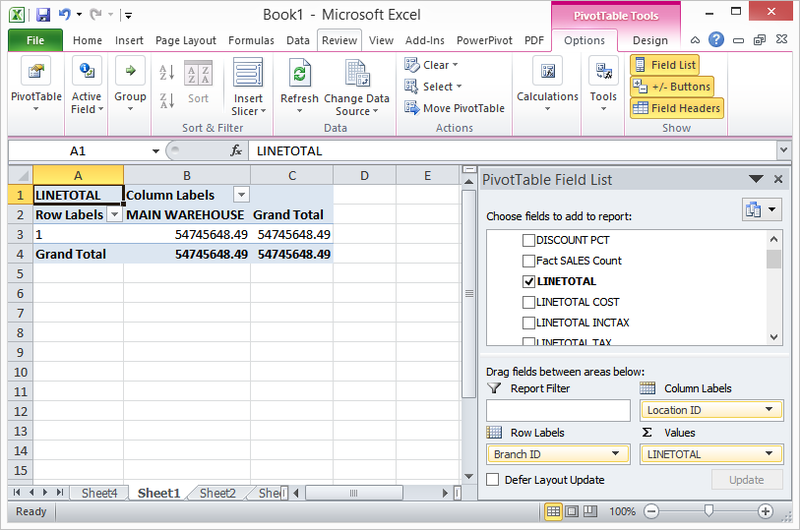 Next time (Level 4) we will be looking at ODBC reports that allow pulling data from database into Excel. In my role as an implementer I ask managers and key users of many organisations why they switch to a new ERP system. No two answers are the same, but almost every time I hear that the client wants better reporting. MYOB EXO Business has a multitude of options to deliver exactly that – “better reporting”. I will run a series of posts on Kilimanjaro Consulting blog and share some of the “sherpa secrets” on reporting methods. We will not go into technical detail but rather cover what is available in the system. I hope this will be helpful to both new and existing users of MYOB EXO who look for ideas on structuring existing or creating new reports. For readers with technical background I will provide references to available documentation and further training options at the end of posts. Let’s start by looking at reporting from EXO screens. You may have noticed that most EXO screens have a similar look, with light blue headings and white grids underneath. This is called ExoGrid. Search screens (e.g. Debtor Accounts and Transactions) show data in ExoGrids. Why we call it reporting – because we can see and use system data. In Excel, in emails, in PowerPoint presentations. Anywhere really… System data is just two clicks away: Right Click > Copy to Clipboard. System “super-user” or EXO consultant can add more columns to most search grids. These can be data fields not displayed on grid by default or even dynamic calculations. 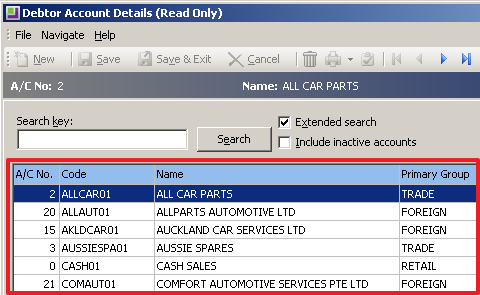 For example, a customer search screen can show aged balances breakdown (Current / 30 days / 60 days) and this year turnover (neither available in visible columns by default); also it can show a number of outstanding invoices for every customer (custom dynamic calculation). In MYOB EXO Business v8.2 a new type of dashboard widgets was introduced – a Grid Widget. All this widget does is show an ExoGrid. It’s that simple. 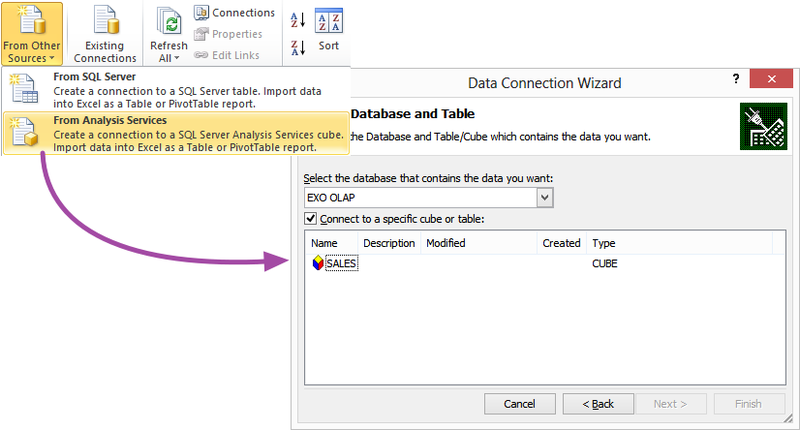 Grid widgets can query and display any data from MYOB EXO Business database. They are relatively quick to build as the only input they require is an SQL query. 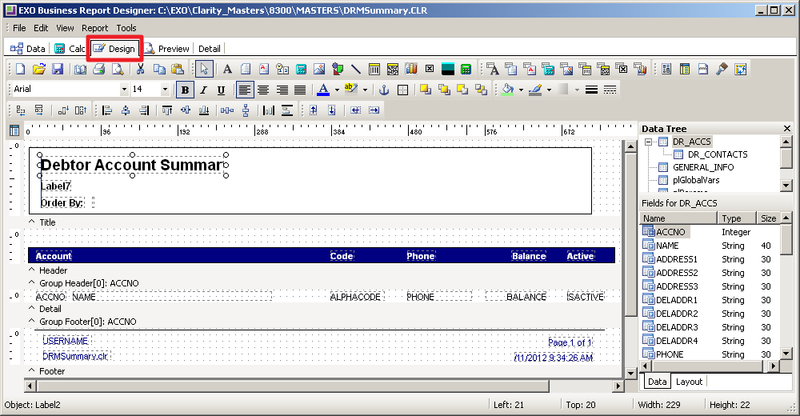 Below is a screenshot of a sample Grid Widget built in Clarity Advanced training course that shows customers who either exceeded their credit limit or are on stop credit. In summary, EXO exposes data in ExoGrids on most search screens, Clarity reports and grid widgets in dashboards. Data from grids can be copied into Excel or any other program; wherever the user may need it. Grids are simple to use, can be customised and provide ad-hoc “screen based” reporting. Next time we will look at Clarity report writer, an integrated tool in which most standard and custom reports are built. If you would like to submit any questions for our Q & A segment or have any other feedback about the series, please feel free to email me.